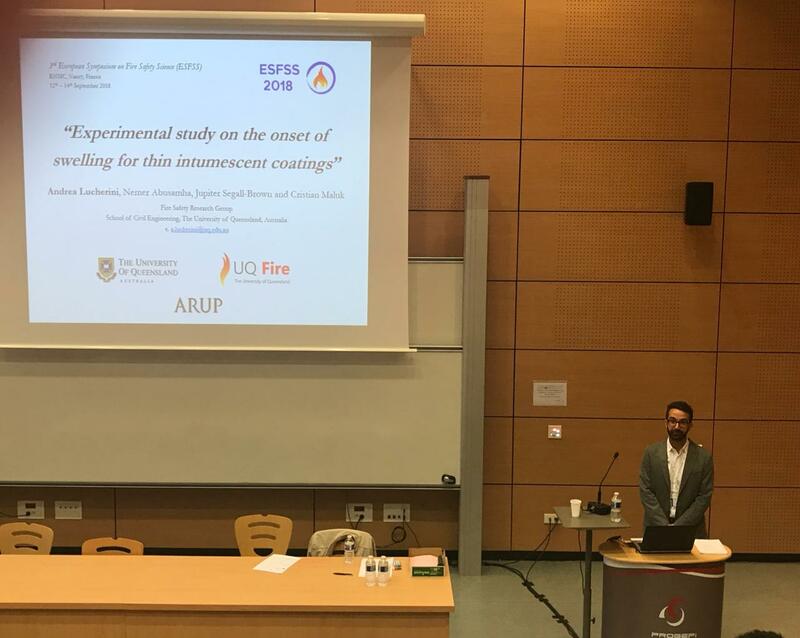 Andrea Lucherini, PhD candidate presented at the 3rd European Symposium on Fire Safety Science (ESFSS) held at the University of Lorraine (Nancy, France). 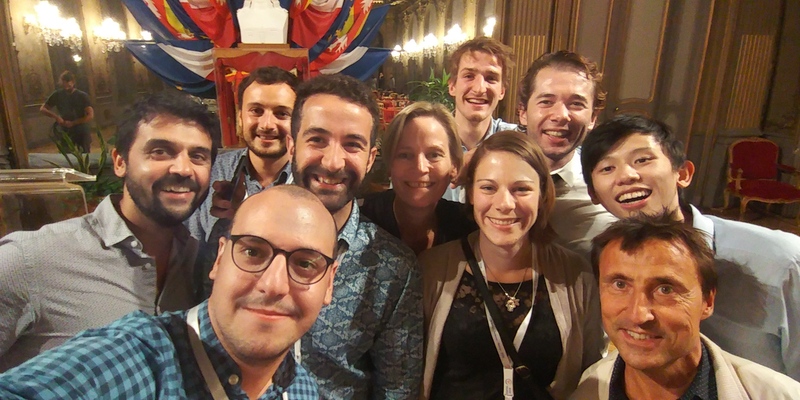 The symposium gathered researchers, scientists and professionals around Europe and from countries all around the world. The event was a productive exchanges and discussions of ideas around fire safety science and engineering. 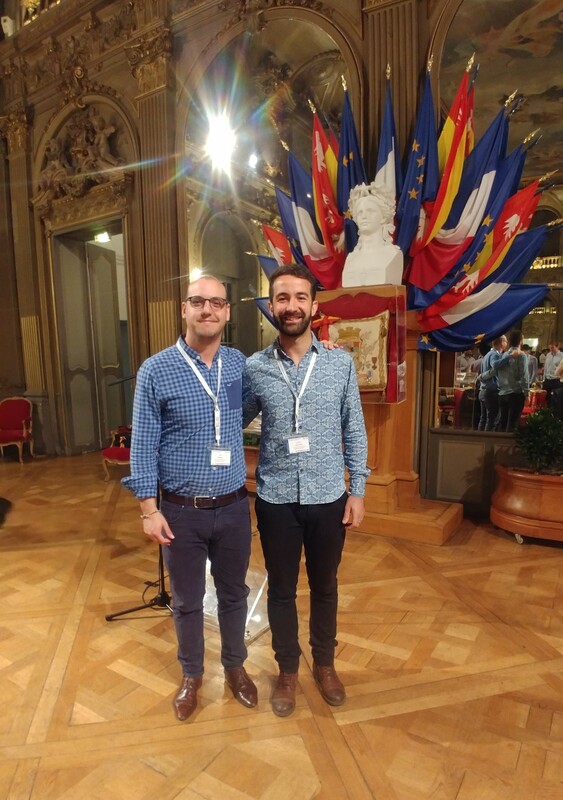 Andrea presented outcomes of his research from a paper entitled “Experimental study on the onset of swelling for thin intumescent coatings”. The paper was co-author by Nemer Abusamha (MSc-IMFSE graduate), Jupiter Segall-Brown (MEng graduate at UQ) and PhD advisor Dr Cristian Maluk. 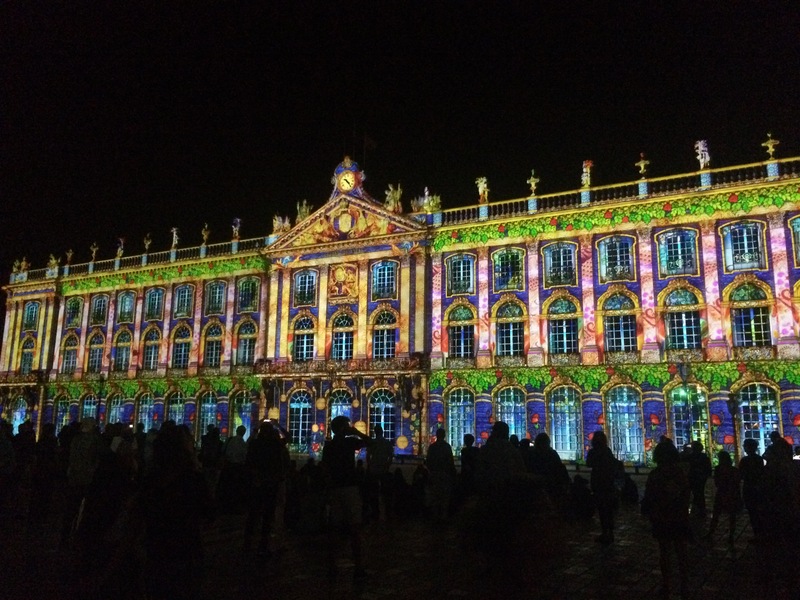 An open source version of the paper may be downloaded from here. Prior to the symposium, Andrea took part in a pre-symposium workshop entitled “Agenda 2030 for a Fire Safe World” organised by the International Association for Fire Safety Science (IAFSS). 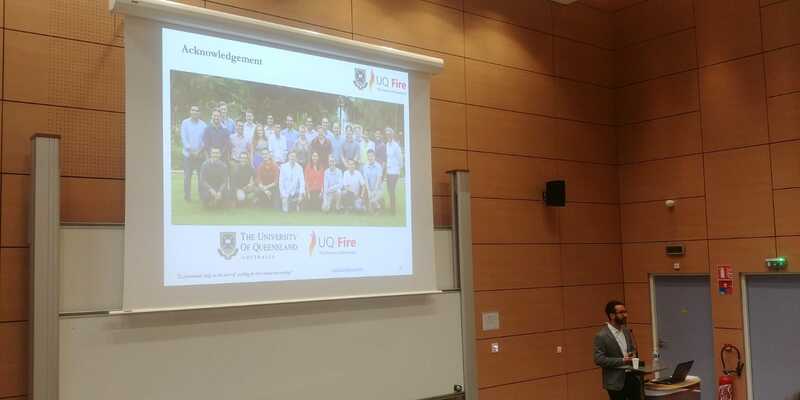 The workshop aimed at raising the profile of the benefits of fire safety science and engineering research in helping to solve critical societal challenges facing the world.